The Regatta’s second edition will run from 6 to 9 December at Guangzhou, Nansha will offer a wide array of high-end lifestyle activities to pamper yachties. The second Guangzhou Nansha International Sailing Regatta to Open on 6th December 2018 in Guangzhou, Nansha! The Regatta’s second edition will run from Dec 6th to Dec 9th at Nansha Marina, the venue where it was launched in July 2017, and the host venue of the 2017-18 Volvo Ocean Race—China Guangzhou Stopover. 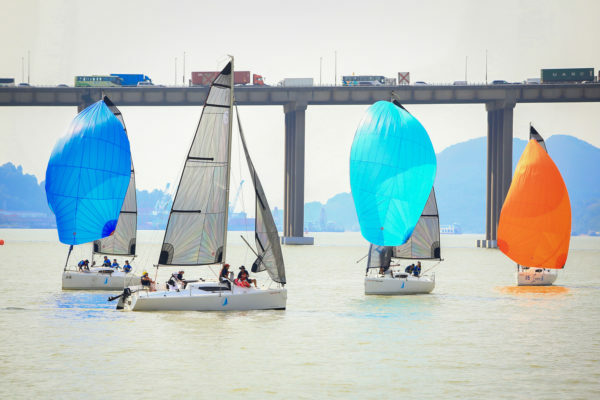 The Regatta is organised by Guangzhou City Government & Nansha District Government, supported by the Chinese Yachting Association, under the authority of the Asian Sailing Federation. 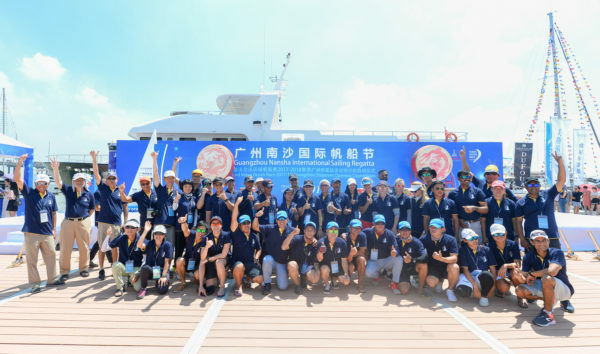 The Regatta’s main objective is to promote the sport of sailing in Guangzhou, South China and promote the historical and cultural links of the Ancient Maritime Silk Route. 7 teams from the countries along the ancient Maritime Silk Route (Brunei, China, HK (China SAR), India, Russia, Singapore, Thailand) have signed up for the current edition (among them the Russian all-women team was specially invited by the organising committee to encourage more women to pick up sailing as hobby or career)). During Regatta’s 3 days the teams will compete in the water area to the north of the busy Humen Bridge, which less than a year ago saw the Volvo Ocean Race sailors fighting for the In-port race victory in the exact same area. This year the participants will have to complete a total of seven races before the name of the champion will be known. The live broadcast will be organized on the screens located in the Race Village so that the public will have a chance to get the spirit of the battles taking place in the waters outside the marina basin. The racing days are scheduled from 7 to 9 December, and on the top of each racing day, there will be one additional VIP race, when professional sailors and invited guests will form a team to compete with the rest of the teams for the “VIP Race” trophy. Though a series of sailing races remain the main core of the event, the Regatta will also focus on promoting sailing and water sports to the public and engage visitors in a range of sailing activities and programs. One of a few to mention will be a paddle board surfing experience organized in the Marina Basin, and absolutely free for all those willing to try it. Also, this year, for the seventh time, Yacht CN—Extravaganza (former Yacht CN-Nansha Bay International Boat Show) will invite the Race Village visitors to take a tour around its on water and on land displays to show them the best of high-quality lifestyle: a range of yachts/boats, luxury cars, high-end and lifestyle products, art and fashion specialties—all this will be exhibited at the regatta venue from 6 to 9 December. Other highlights of the show include the VR Experience Pavilion, Marine Environmental Protection Museum with a series of interactive activities, Chinese Handicraft Cultural Area where the masters of folk arts will make their handicrafts right in front of you and every visitor will have a chance to take these memorable souvenirs back home with them. And all these activities will be free for visitors! Those who enjoy fishing, and would like to challenge themselves in this skill, can join the Fishing Contest organized right on the South breakwaters of Nansha Marina. The lucky fisher with the biggest catch of the day will be awarded specially prepared prizes. And to top up the festive atmosphere in the Race Village, a series of entertainment programs and activities will be held at the Main Stage and around the venue. The music band, dancing, martial arts performances—those are just a few to mention. 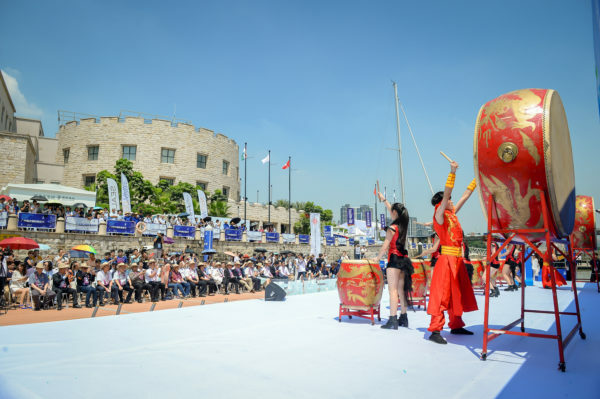 The second Guangzhou Nansha International Sailing Regatta is looking forward to seeing its friends in Guangzhou, Nansha from 6 to 9 December 2018. 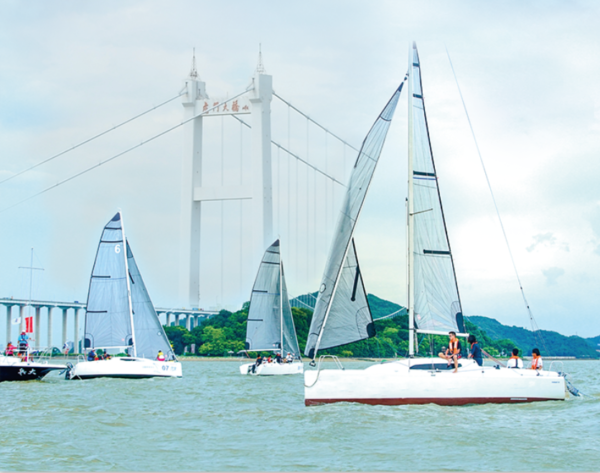 Let’s join together for the biggest annual sailing event of Guangzhou!